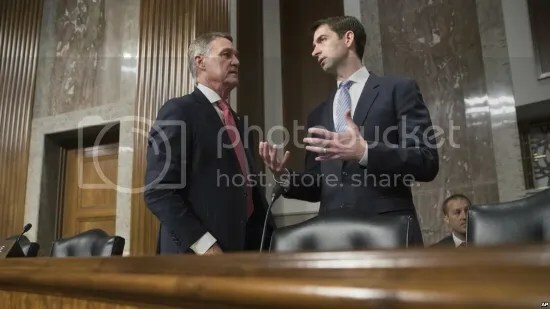 US Senators David Perdue and Tom Cotton. (www.voanews.com). Earlier today, President Trump, along with Senators Tom Cotton and David Perdue, unveiled a proposal to dramatically overhaul the US immigration system. In addition to reducing annual immigration into the US by 50 percent, the RAISE Act would create a ‘merit-based’ system, which favors high-skilled workers by assigning points to green card applicants based on factors such as English ability, education and job skills. This merit-based system would end current policies such as ‘chain-migration’, which gives preference to extended family members of US citizens, as well as the visa lottery and limit the number of refugees who are given permanent residency. In support of the proposal, President Trump claimed that limiting immigration, and giving preference to high-skilled workers, would produce less poverty, higher wages for Americans, less stress on the welfare system and billions in savings for taxpayers. While President Trump’s claims concerning the RAISE Act will be debated by congress, the proposal would have a damaging effect on food prices and increase food insecurity. 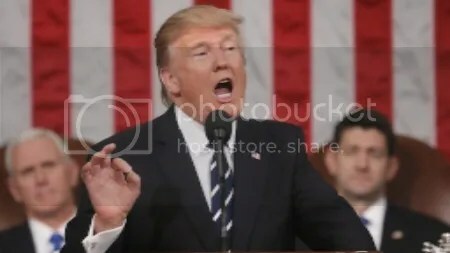 President Trump originally called for ‘merit-based’ reform in his address to a joint session of congress. (The Globe and Mail). 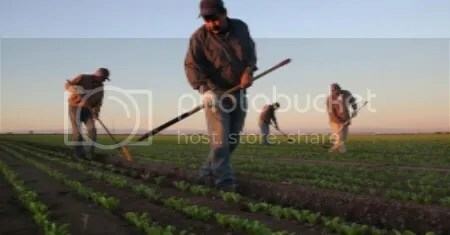 Because President Trump’s merit-based system focuses mostly on high-skilled workers, it fails to address the status of low-skilled, undocumented, agricultural laborers who harvest between 60-70% of America’s fruits, nuts and vegetables while working for low-wages. By not accounting for these low-skilled workers, the RAISE Act places the stability of food prices in jeopardy. With merit-based immigration, the number of low-skilled agricultural workers would diminish as the US accepts more high-skilled foreign nationals. In turn, farmers would see their workforce reduced, requiring them to hire more expensive American workers, which would result in higher costs for consumers at the supermarket. Additionally, if farmers cannot fill their ranks with American employees, crop yields would suffer has annual harvests go unattended, producing food shortages normally filled by domestic production. To compensate for these poor crop yields, the US would need to import groceries, again raising food prices across the country. The greatest implication, however, of merit-based reform is its effect on food security- which is defined as access by all people at all times to enough food for an active, healthy life. Agricultural workers tending to a field. (Getty images). According to USDA, 42.2 million Americans have insufficient access to food, with single-parent and low-income homes experiencing the highest rates of food insecurity. As these households continue to struggle with providing enough food for their families, increases in food prices due to merit-based reform would only exacerbate their food insecurity. This would lead to more reliance on government programs, such as food stamps, to support food insecure families- a strain on the welfare state that President Trump claimed would be alleviated by merit-based reform. The social and economic consequences of immigration reform that fails to address low-skilled agricultural workers is clear- higher prices and increased food insecurity. Given the importance of stable food prices to all Americans, and the valuable contributions of low-skilled workers to the agricultural industry, it is imperative that lawmakers draft a bill that attracts educated and low-skilled foreign nationals to our country.